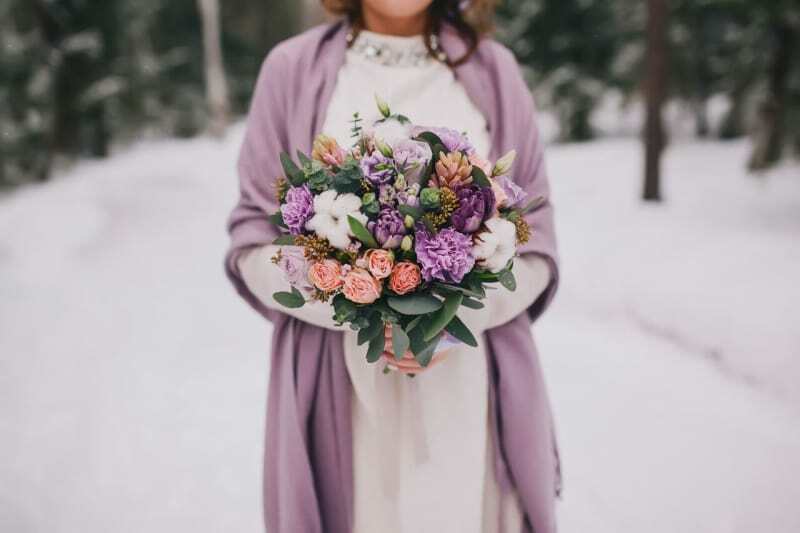 In the process of dress shopping for your wonderful winter wedding, don’t forget the climate or it might spoil your day. Hunt for a warm fur shrug or a statement bridal cape to compliment your dress and keep you from feeling the cold on your big day. Don’t forget about your bridesmaids too! 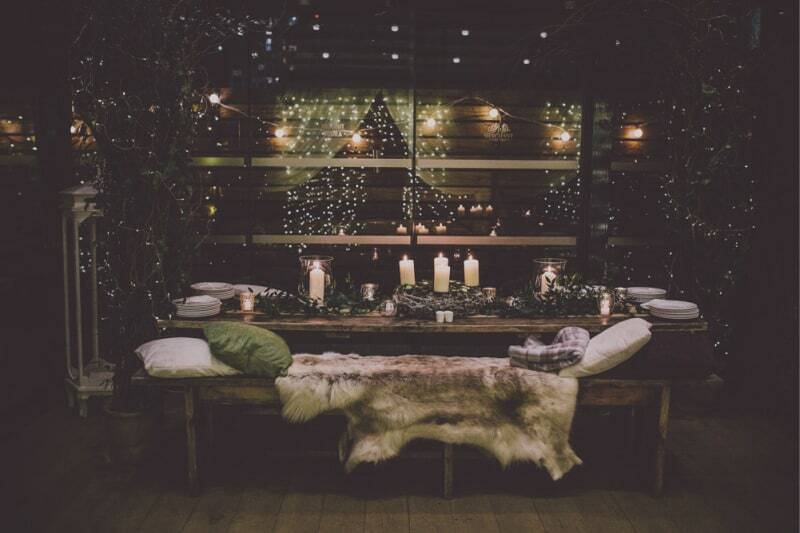 Your guests will be amazed if you can offer traditional food and drink to add to the festive feel. Include hot chocolate, mulled wine and mince pies to make your loved ones feel warm and content inside. Think candles, throws, and scatter cushions if you want to turn your reception into a warm and inviting atmosphere in the height of winter. Your guests will be rushing to take their seat! With the chance of torrential weather on your wedding day, be prepared. Be it rain, hail, snow or ice, having wedding insurance will be a safety net in case anything should happen. It will take the pressure off you and allow you to enjoy the moment. Just because you’re getting married in winter doesn’t necessarily mean you need to have a white wedding. Don’t be afraid to experiment with bright, bold colours when choosing your theme – stand out and be unique! Give something to your guests that will wow them. Whether it’s a holiday-themed personalised gift, or a winter wonderland-inspired keepsake, make sure everyone takes something home that they won’t stop talking about for weeks!